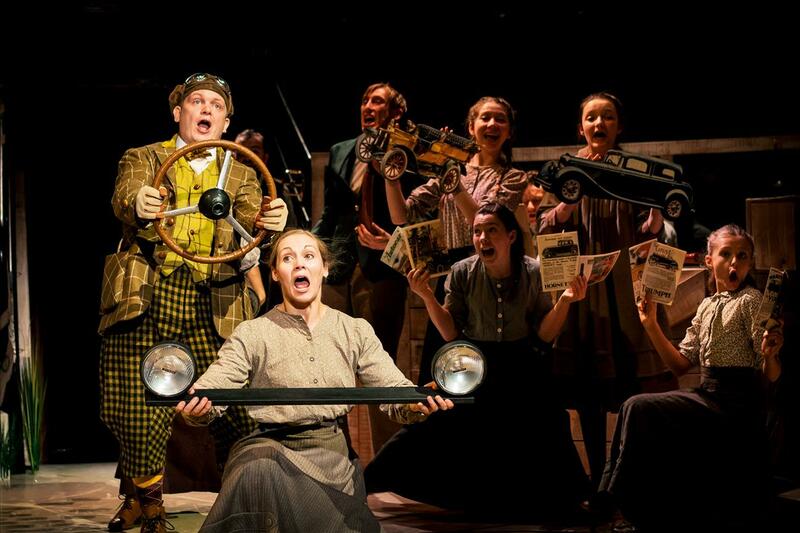 Renowned for it’s Christmas show, the New Vic Theatre in Newcastle-under-Lyme are back with their latest offering, to take you on an adventure that will see the whole family thoroughly entertained. Within moments you enter the magical world of mole, who goes above ground into the wide world, meeting friends and avoiding danger along the way. Adapted by Theresa Heskins, who has made way for a new director this year – the magical tale is also underscored by fitting and very pleasant music composed for this version by Matt Baker. One area where this show utterly excels itself is the marvelous set on display. From the innovative wood that drops down from above, to the beautiful floor that becomes a stream, to the incredible caravan that eventually smashes to pieces in an accident – this really is top form by set designer Laura Willstead. The direction was also on point, using the set and cast to full effect. 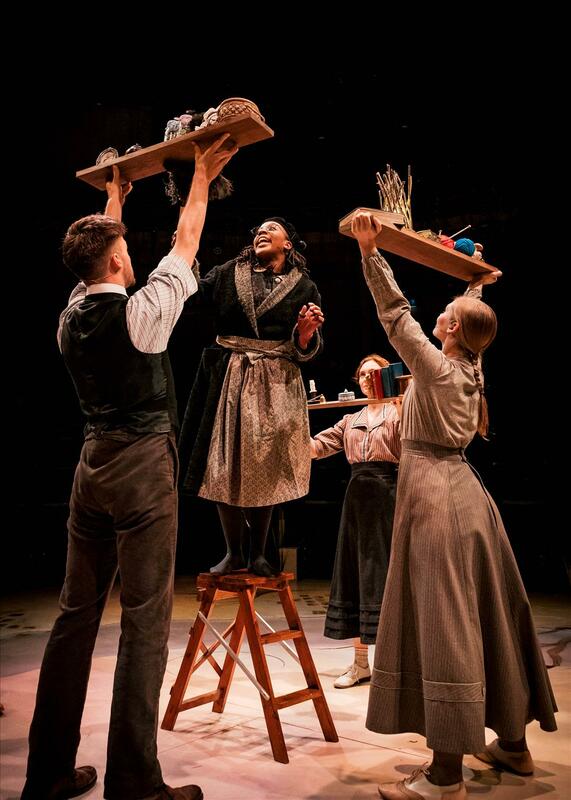 Unbelievable stagecraft always accompanies a New Vic Production and it was great to see Director Peter Leslie Wild continue that trend whilst adding stamping his mark in other ways. The caravan crash, the train ride and the opening where Mole climbs above ground particular “stagey” highlights! Of course a show is only as good as the performances of the cast and there wasn’t a weak link in this group of actor-musicians. It’s always impressive when the actors produce their own music, but even more so when it doesn’t affect the flow of the performance or take energy away from the main action on stage. The show moved quickly and certainly by time you’ve met Toad, is in full magical storytelling flow. The show is largely written around Alicia McKenzie as Mole, she performs the role very competently – as does Rob Witcomb (as Toad) who has to work the audience a little and cause chaos with his reckless sprees. Incredible fun to watch. Look out for Matthew Burns as Horse (and other roles). He is certainly one of the highlights of the show, very comically written and executed to full effect. The audience really doesn’t stop laughing when his horse character is on stage. A special nod must go to the young company, who were absolutely outstanding as they joined throughout for various numbers. 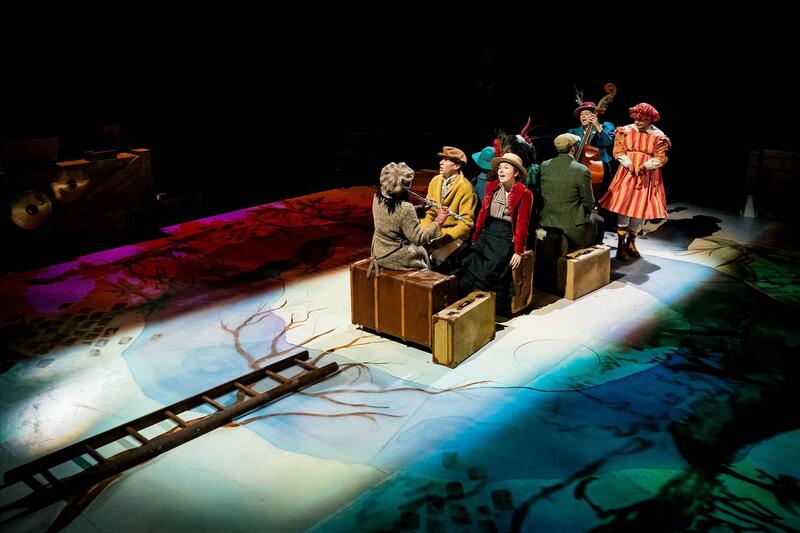 The Wind In The Willows plays at the New Vic Theatre until Saturday 26th January 2019. Tickets are available from: www.newvictheatre.org.uk and are priced between £15.50 and £24.50 – with a family ticket available for £68.